NFL MVP Odds - Is Tom Brady Losing His Grip on the Title? As per usual, the top of the race for the NFL MVP (Most Valuable Player) is dominated by quarterbacks, as the players with the top 5 odds to win the title as of this moment are all QBs. The top of the list features the 40 year-old Tom Brady, who is currently listed at 3.25 to win the award. Brady created some distance between himself and the rest of the pack when he got his season off to a phenomenal start, though he has been coming back to earth as of late. At one point in the season, Brady was considered a near-lock to win the award - now he is looking over his shoulder at a number of hard-changing QBs. Alex Smith and Carson Wentz are both 4.50 to win the award as of this moment. The general consensus is that Wentz is the front-runner for the award right now, especially given Philadelphia's strong 7-1 start. Wentz has been superlative so far this season, as he has been looking like a young Drew Brees with the way that he has been distributing the ball to his receivers. With the Eagles picking up Ajayi from the Dolphins for a 4th round pick, Wentz should benefit from a bit less pressure. Alex Smith, who was always considered a responsible plug-in at QB, has been one of the top-rated passers in the league so far this season. Smith has some bonafide weapons to throw to this year, including the likes of Tyreek Hill and Kareem Hunt. Smith has been outperforming expectations so far this season, which is part of the reason why the Chiefs are off to such a great start. Russell Wilson has been spectacular in leading to the Seahawks to a 5-2 record, which is why he is currently listed at 10.00 to win the MVP award. Deshaun Watson has gotten off to one of the best starts ever as a rookie QB, which has placed him with the 5th best odds to win at 13.00. Next up on the list is Le'Veon Bell, the first RB on the list, as he is listed at 15.00. 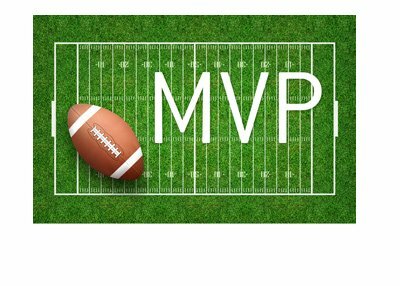 Running backs traditionally don't win the MVP award, and I wouldn't expect any change this season. In the NFL, things can change in a blink of an eye. A losing streak or injury can result in a player plummeting down the rankings, though with each passing week, the names at the top of the list should become more solidified.